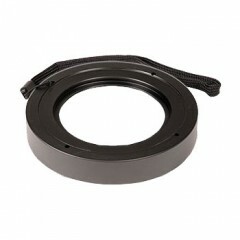 Allows for the attachment of 67mm threaded macro lenses from Inon and Epoque. The adapter slides onto the front of the existing lens port without modification. 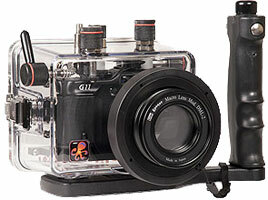 As the adapter may be removed and replaced while underwater, there is no limit to the camera's zoom capabilities. As the adapter blocks a significant portion of the port's front element, it should only be used with a macro lens installed. This adapter does not allow effective use of the external wide angle conversion lenses. For wide angle photography, we recommend the #6340.4 WD-4 Wide Angle Conversion Dome. Refer the housing's webpage for complete information on wide angle options.